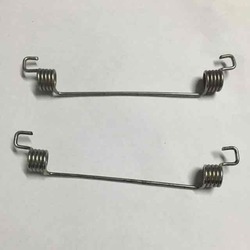 Leading Manufacturer of brake spring kit and brake shoe springs from New Delhi. Quality range of Brake Spring Kit is manufactured by us. These Brake Spring Kit are the most advanced, and compact. Besides, with our wide distribution network, we ensure to make timely delivery of the ordered products at the client's end. In order to ensure to make good quality we manufactured our products using optimum quality raw material. To meet the diverse requirements of our esteemed clients, we are engaged in offering Brake Shoe Spring. 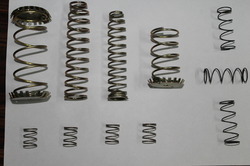 The provided spring is extensively used in tractors for storing and releasing energy. Our offered spring has huge demand in the market owing to its features like high tensile strength, easy to install and superior finish. Under the strict supervision of deft professionals, our provided spring is precisely manufactured using optimum grade raw material and ultra-modish technology in line with industry set norms.